My mom crocheted the cutest little purses following a pattern in a Japanese crochet book. They are so twee! 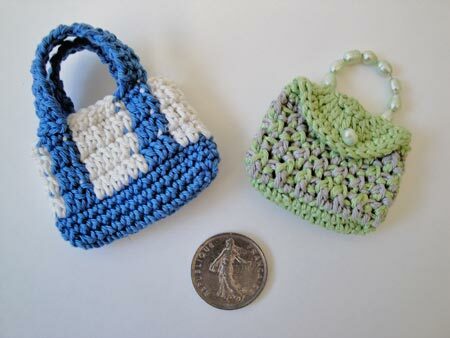 The blue and white tote bag is 3" x 3.25" and the green one, my favorite, love the pearls, is 2.5" x 3.5". They would make great ornaments or charms. She now has to make me scads more. In other ornament news, I learned that friend loves owls. 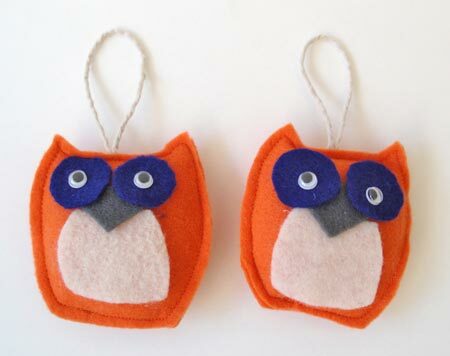 So for craft time together she made owls, which I then stuffed and stitched up later. Now they just need to be mailed to her... ideally before Christmas, I suppose.